The United States Court of Appeals for Veterans Claims (CAVC) was created on November 18, 1988, by Public Law 100-687. The CAVC is not a part of the Department of Veterans Affairs -- the CAVC is a federal court and part of the federal judiciary system. Because the court was created by Congress under its Article 1 powers, many refer to the CAVC as an Article I Court (as opposed to a Federal Court created under Article III of the U.S. Constitution). The distinction is one that largely has no difference, except in some minor nuances that are irrelevant in most cases. The Veterans Court of Appeals, as some call it, is a federal appellate court, and you should take your appearance there as seriously as you would any other Circuit Court of Appeals under the federal court system. The CAVC has exclusive jurisdiction to review all decisions from the Board of Veterans Appeals (BVA). The US Court of Veterans Appeals views its jurisdiction very narrowly, at this time, and extends it only to "final BVA decisions". The Attig | Steel firm is challenging this in the Federal Circuit Court of Appeals, and is arguing that Congress gave the CAVC jurisdiction over even BVA remand decisions. Another difference that the veteran should be aware of is the fact that without the assistance of the VCAA, the CAVC proceedings will not be a trial to submit new evidence. With limited exceptions, the Court will only review the record, and there will not be oral testimony. The U.S. CAVC publishes its court rules and procedures. Both parties are expected, in fact required, to follow the rules of practice and procedure set forth by the Court. The Judges at the Court of Appeals for Veterans Claims are appointed by the President of the United States and confirmed by the Senate for terms of either 13 or 15 years. CAVC Judges do not get a lifetime appointment - this is one of the distinctions of an Article I federal court (Article III federal judges are lifetime appointments, with narrow circumstances where they can be removed from office). In order to ensure that proceedings before it are orderly and fair, the Veterans Court publishes its Rules of Practice and Procedure online. Before you take any action at the veterans court, it is best to consult the rules. There are rules governing timeliness of filings, requirements to confer with the other party before filing certain motions, formatting rules, and rules that govern the contents and formats of petitions, motions and briefs before the CAVC. Compliance with the rules are monitored by the clerk of the court of veteran appeals and the CAVC Judges. Your ability to follow the Court's rules may not directly impact the outcome of your case, but parties (and especially attorneys) who cannot follow the rules may have a role in reducing the veterans court judge's confidence in your substantive legal position. The appellant's attorney (yours) and the VA Secretary's attorney (OGC attorney). OGC Attorneys at the CAVC. They may be friendly - and you should be friendly back - but they are not your friends. When you appeal to the veterans court, the OGC attorney represents the Secretary's interests and the governments interests, not the Veteran's interest. The OGC has no duty to assist the veteran, and they have a singular goal: to win the case (which means you lose). Now, ethically, government attorneys are required to put justice as a priority over winning, and from time to time that happens in the VA OGC. There are many good OGC attorneys who practice before the veterans court of appeals, but they put the government's interest ahead of yours. OGC attorneys at the court of veterans appeals know the CAVC procedure and rules very well, and will use them to gain leverage in a case. This is one reason it is always a smart idea to hire an attorney with CAVC appellate experience to represent you when you appeal your BVA decision to the Veterans Court. If you would like to learn what to consider when hiring an accredited VA attorney in your appeal to the CAVC, take a look at my paperback book "How to Choose a VA Claims Attorney". The book tells you what is important to know about your attorney's skills, what fees VA disability attorneys can and cannot charge you, how to research a veterans benefits attorney, and even includes a list of dozens of questions you can ask your attorney before hiring them to represent you at the CAVC. It is important to note that if you hire an attorney from Attig | Steel to represent you at the Court of Appeals for Veterans Claims, we do NOT charge you any attorney fees. If we win the case, the government pays us out of THEIR pocket - NOT out of yours - under a law called the Equal Access to Justice Act (EAJA, pronounced, EE-juh). Because you don't have to pay for an attorney, it makes sense to seek out and retain the best veterans court attorney available. There are several documents that you must file when you appeal a BVA decision to the Court of Appeals for Veterans Claims. The Notice of Appeal (NOA) must be filed with the court within 120 days of the BVA decision date of an adverse ruling in your case. You must pay a $50 filing fee or use the CAVC Form 4 to request a hardship waiver of the fee (if you request a waiver of the CAVC filing fee, you will not have to pay the $500 filing fee at the Federal Circuit Court of Appeals, should you have to appeal a CAVC decision there. Designation of Representative. If you hire a va benefits attorney to represent you at the CAVC, they will file these forms for you. You should do everything in your power to file a CAVC appeal within the 120 days of your BVA decision. The CAVC is very strict about this deadlin, and we know they will reject your CAVC Appeal even if you are 1 minute late in filing. That said, there are some extreme (and we do mean extreme) circumstances where the CAVC should waive the deadline. This legal concept is called 'Equitable Tolling' of a deadline; the CAVC does not like to apply this doctrine at all, and the Federal Circuit Court of Appeals wants the CAVC to apply it more liberally. This means that if you are late filing your appeal, you should definitely hire an attorney to make the "equitable tolling" argument before the CAVC, as it will almost certainly need to be reviewed by the Federal Circuit Court of Appeals. Once you have filed your Notice of Appeal (NOA) with the veterans court of appeals, your case will be assigned a docket number and placed on the CAVC docket: you will be notified of this by a "Notice of Docketing". That notice of CAVC docketing indicates that the Court designates the parties (the veteran is the appellant, the party requesting appeal of the BVA decision, and the VA is the appellee, the party defending the BVA decision). The VA Secretary, represented by VA attorneys working for the VA's Office of General Counsel (OGC) will first file a copy of the BVA decision with the veterans court. Be sure to review this BVA decision: the VA makes several common errors when they file your BVA decision with the CAVC: misspelled names, wrong BVA decisions, multiple BVA decisions, BVA decisions with your private social security number, claim number or home address, etc. CAVC Record Before the Agency. Approximately 45 -90 days after your case is docketed, the Secretary of the VA through his OGC attorney, will serve a copy of the Record Before the Agency (RBA) on you, and file an RBA certificate of service with the veterans court. The RBA, in theory, is everything that was before the BVA at the time of your BVA decision. In reality, we have found this file to be far less - or far different. Sometimes, the VA OGC only includes a copy of the VBMS record in your appeal, other times they only include documents from your VA e-folder. It is the practice of Attig | Steel to request a copy of the veteran or survivor's c-file (claims file) in every case before the veterans court of appeals. We meticulously compare the documents - the RBA and the C-File - and note any differences which we believe may be material to the resolution of the appeal. Under Rule 10 of the court of veteran appeals, you are entitled to dispute the contents of the Record Before the Agency (RBA). Once the time to file, review and dispute the RBA is over, you will receive 2 notices from the Clerk of the Veterans Court. The first notice is called a 60 day Brief Notice: it requires you to file your "principal brief" within 60 calendar days. The second notice you will get is to schedule the so-called "Rule 33 Conference". The Rule 33 Conference is often mistakenly called a settlement conference - this couldn't be further from the truth. The VA and the OGC believe that they lack legal authority to settle government claims (at least until they want to settle government claims). The Rule 33 Conference is a discussion between the Appellant (the Veteran or Survivor appears through their attorney if they've hired one) and the Appellee's attorney at the VA Office of General Counsel. The conference is held telephonically, and is moderated by a Veterans Court Central Legal Services Staff Attorney. The goal of the conference is to narrow the issues on appeal and, if possible, to see if the VA OGC will agree to a joint motion to vacate and remand agreed BVA errors in the Board's decision. The discussion centers on a "Statement of Issues" submitted by the Veteran or Survivor (or their CAVC attorney if they've hired one). This is a brief, no more than 10 pages double-spaced, summary of the issues and errors the veteran or survivor intends to argue before the Court of Appeals for Veterans Claims. Rule 33 of the CAVC Rules and Procedure govern what is required to be in this statement, and the format it must be in. If the VA OGC attorney agrees with you that the BVA decision contains error, they will join you in filing a motion to vacate the BVA decision and remand it to the Board of Veterans Appeals (BVA) for re-adjudication. If the VA OGC attorney does not agree with you that the BVA decision contains error, they will tell you in the Rule 33 Conference that they will defend the BVA decision. Response Brief: The Secretary has 60 days to file his Response Brief, responding to your arguments or raising his own legal arguments in defense of the BVA decision. Reply Brief: You have 14 days after the Secretary files his Response Brief at the CAVC to file your reply brief. The reply brief should NOT rehash the arguments of your principal brief. The best reply briefs "engage" the Secretary's arguments and rebut them. Legal brief writing is an art form. WhileCourt of Appeals for Veterans Claims Rule of Practice and Procedure 28 has very strict rules about what should be in a brief, and in what order those sections should appear, the purpose of the brief is to persuade a legal audience to provide the remedy you seek. The brief is structured around the "CAVC standard of review", and the facts and arguments are carefully constructed to persuade a CAVC Judge - who is typically a very accomplished and experienced lawyer. CAVC Attorneys at Attig | Steel will expend 60-80 hours or more, over several weeks, constructing a persuasive brief. Here is an example of our favorite veterans court Brief - notice the structure of the argument, from the facts to the law, and how it is geared to persuade, not lecture, the CAVC. We cannot stress enough how important it is to hire a lawyer to brief your case for you at the veterans court. In cases where a party requests oral argument, it is not necessarily granted unless the Court thinks that oral argument will help the Court in reaching its decision. Oral argument is NOT a jury trial. It is not a presentation of evidence, and it is not an opportunity to lecture the Court. Oral Argument is an opportunity for the Court and the lawyers before it to engage in an exposition of the law applicable to a case, to understand how the law impacts a particular set of facts, how a particular rule of law might affect a broad number of cases, or how a particular issue fits into the broader body of jurisprudence, either in terms of veterans law before the Court of Appeals for Veterans Claims or federal appellate law and practice. For that reason, oral argument, while not forbidden in single judge cases, is most commonly used in panel and en banc appeals. There are 3 things you should know about decision of veteran court Judges: the standard of review, the types of decisions, and the scope of relief. Standard of Review at the Court of Appeals for Veterans Claims. Findings of fact are reviewed for "clear error": if a particular finding of fact in the record is plausible, even if the CAVC judge might have found differently, the CAVC Judge defers to the BVA finding of fact in the absence of clear error. Conclusions of law. The BVA makes conclusions of law in every decision, and when a party alleges that the conclusion is erroneous, the CAVC reviews those conclusions of law on a "de novo" basis (which is Latin for "from the beginning", or "anew"). This means that the CAVC affords no deference to the BVA's interpretation of the law. This standard of review includes review of constitutional errors and violations, statutory interpretations, regulatory interpretations, and "rule of law" conclusions by the BVA. Inadequate Reasons and Bases. This is a nuance unique to veterans law: when a BVA judge makes a finding on a material issue of fact or law, that finding must be supported by adequate reasons and bases - enough reasoning that the veteran or survivor can understand the BVA decision and so that judicial review of the fact or legal finding is not "frustrated", or speculative. The great majority of Veterans Court of Appeals decisions and joint motions to remand are based on Inadequate Reasons and Bases from the BVA. At Attig | Steel, we believe that this is because in the past, activist judges have bought into the idea that the VA claims and BVA appeal process are "non-adversarial" - a concept that exists nowhere in the law, and undercuts the very foundations of the American justice system. One of the primary philosophies that governs our work is chipping away at rules of law or statutory and regulatory interpretations which enable or perpetuate the myth that a "non-adversarial" system in any way benefits a veteran or survivor. Harmful Error. Some BVA errors will not be disturbed by the CAVC unless the Appellant shows that he or she was prejudiced by the error. This requires a showing of how the outcome would have been different but for the error. Appellate courts lean heavily on this rule to ensure that they do no inundate trial courts with decisions to fix factual determinations which might not impact the outcome. It is the opinion of Attig | Steel that the "harmless error" rule is too broadly applied at the CAVC, and its use should be highly limited, due to the complexity of the law, and always changing facts and regulations. 3 Broad types of Relief in Veterans Court appeals. The court of veteran appeals can take 3 actions on your appeal - sometimes combining more than one form of relief. Affirm. The CAVC affirms a BVA decision when the Veteran or surviving spouse has failed to meet his or her burden of persuasion that the BVA erred, applying the standards of review above. Remand. The veterans court of appeals will either "vacate" or "set aside" a BVA decision and remand it to the BVA for readjudication when, for some reason or another, the record is not factually complete or the BVA failed to provide adequate reasons and bases for its decision. Reverse. When the CAVC Judge determines that the BVA has erred, and that the only permissible view of the evidence is that the BVA should have decided a particular fact or issue in the veteran or surviving spouse's favor, the veterans court judge can reverse the BVA decision. These decisions are extremely rare. Refer. 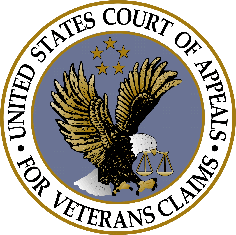 In certain limited situations, where the court of veteran appeals does not have jurisdiction over an issue, or where the CAVC does have jurisdiction but the veterans court chooses not to exercise it at this time, the court of veterans appeals has the authority to refer the matter to the BVA for adjudication. This is incredibly rare, but we do see it from time to time in BVA decisions. 3 Types of Decisions at the CAVC. There are 3 types of decisions which can be issued by the Court of Appeals for Veterans Claims. Memorandum Decision. Also known as a "single-judge" decision, the great majority of decisions are "Mem Decs", written by a single judge of the Court. These decisions are non-precedential - while you can use their reasoning to argue that the veterans court should follow the law in your case, the CAVC judge is not bound by a single judge decision. Panel Decision. A 3-judge panel issues precedential decisions of the Veterans Court. Cases come before a panel either by motion of a party (typically after a single judge denies the case, but not necessarily), or based on the decision of a CAVC judge that the matter is better resolved in the first place by a panel of the CAVC. The criteria that the CAVC uses to decide whether or not a case is better decided by a single judge or a panel are the criteria laid out in the Frankel case. En Banc Decision. "En Banc" is another latin phrase, and it refers to the full court. If a court sits "en banc" it means the entire court of judges sat to hear the case and participated in the outcome. These are very rare at the Veterans Court - the veterans court makes it plain in its rules that it does not favor requests for en banc review. These types of cases are typically very important cases which either over-rule a substantial past precedent or which set a substantial new precedent. This tutorial is extensive, and contains a lot of information. However, it comes nowhere near cataloging everything about the CAVC that might impact your appeal of a BVA decision. If you have a question about a CAVC case, or would like Attig | Steel to consider representing you in your CAVC appeal of a BVA decision, please click here to contact our appellate CAVC attorneys.